Whether you’re shopping for a summer barbeque or gearing up for back-to-school, Walmart makes it easier for you to find everything for every list. And while you stock up on your family’s favorites, don’t forget you can earn cash for the participating school of your choice with Box Tops for Education products. Shop at Walmart to purchase products from your family’s favorite brands such as Nature Valley, Cheerios, and Yoplait, and earn more cash for the upcoming new school year! To learn more about the Box Tops for Education program and how you can help contribute to your school, visit www.boxtops4education.com/. Right now, many products are double Box Tops for Education as well, so get out there and support your school BOGO style. Also, don't forget to create an account at http://www.boxtops4education.com and visit the marketplace, where you can shop online to really amp up your boxtops - often earning 6 boxtops per every $10 spent on products you purchase everyday. Why not? One lucky winner will win a $25 Walmart gift card to buy up all those Box Tops for Education double boxtops! 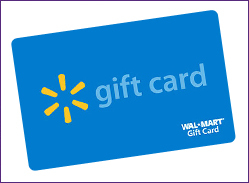 *Follow me @jamaise at Twitter & Tweet this : RT @jamaise #GIVEAWAY #WIN - A $25 Walmart Gift Card!! http://bit.ly/qNuLaZ Ends 8/2 tweet each day for one entry each ! Disclosure: Walmart and General Mills through MyBlogSpark provided me with information about the promotion at Walmart and a $25 Walmart gift card for my review and to offer as a giveaway. I was under no obligation to review it if I so chose. Nor was I under any obligation to write a positive review or sponsor a product giveaway in return for the free product. These views are my own. and box top product staple is yoplait yogurt! Cheerios is a box top staple in my home. Dora Fruit Snacks are a staple at our house. I would say golden grahams. I follow you in GFC. We love Golden Grahams! Cereal! We have Cookie Crisps and Reeses Cups, etc. GFC follower (Fawn Hammons) Chocolate cheerios is a staple in our home. Hamburger helper is always bought when I go to the store!! I like wal-mart on facebook! I like wal-mart on facebook entry 2! I like wal-mart on facebook entry 3! I follow via GFC entry 3! I follow via google friend connect. Yoplait Yogurt is a staple.